Summer is underway! Is it time to find a summer job yet? 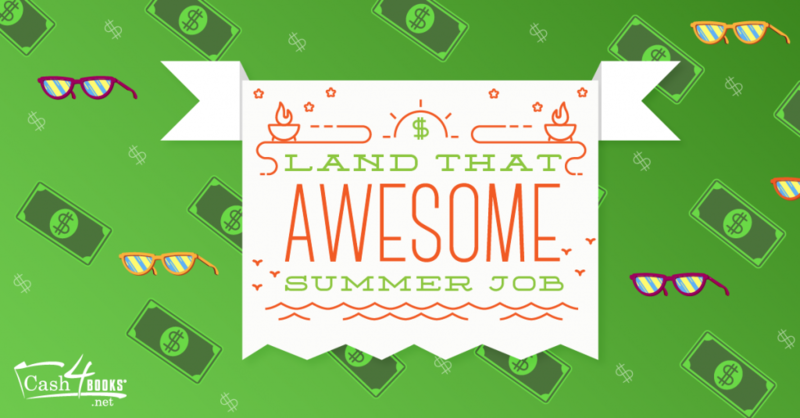 Now that you’ve had a break from school to enjoy the summer, you may be on the summer job hunt. We know looking for a great position to put some cash in your pocket is important, so here are some tips and suggestions to keep in mind. While this may seem boring, doing research and thinking about what you want to do is key! About.Careers advises that deciding what kind of summer job you want makes the difference. There are a ton of different avenues of work out there, so aim to find something interesting and attainable. Making sure your resume is up-to-date is another key step in finding a summer job. If you don’t have much prior work experience, don’t worry. You can fill it out with volunteer work, leadership positions and more. This is also an opportunity to get your resume critiqued. Show it to your friends, family and mentors. Input is vital! According to U.S. News and World Report, talking to people you know can make a huge difference. They may know of someone who is looking to hire. Your friends and family’s connections can become your connections. Most open job positions are filled by referrals, so having someone to vouch for you makes all the difference. Don’t forget to send a note or an email thanking the people you’ve networked with. You want them to remember you if they hear about an open position. Also, it’s super polite! Online resources and job boards can be helpful. While a bit of a shot in the dark, sometimes applying to jobs online will work. Looking at online job boards can introduce you to companies you didn’t know about or even consider. Another good approach is to find open positions online, and do research on the company in order to reach out to the hiring manager. Putting in time and research shows when you talk to someone within the company. When you do land an interview, you want to be prepared! The online magazine MoneyCrashers advises you to practice answering sample interview questions. You should also prepare by talking about your experience and strengths. You want to be comfortable and confident talking about what you’ve done before. While finding an awesome summer job can take time, don’t worry – you’ll find something great. Being positive and not getting discouraged can make all the difference. Good luck on the job hunt everyone! If you’re still looking for ways to make money this summer, don’t forget about Cash4Books. Sell us your books and get cash quick. This entry was posted in College Students and tagged Cash4Books News & Updates, college students, make money, summer job, tips on July 8, 2015 by Jim McKenzie Smith.